The book highlights the Dutch response to floods in the past, its innovations in water management and the lessons Kerala can learn from the northwest European country. India’s Ambassador to the Netherlands Venu Rajamony has highlighted the Dutch response to floods in the past and its innovations in water management as an example for India to avoid deluges like the one which devastated Kerala last year. Ambassador Rajamony authored a book — ‘What Can We Learn From The Dutch: Rebuilding Kerala Post 2018 Floods’ and stressed on the need for the state to equip itself with technical expertise to avoid another such disaster. 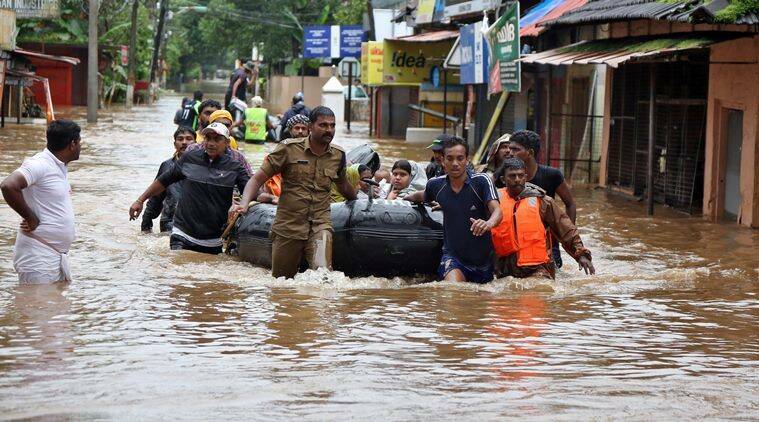 Kerala was hit by massive floods in August last year. At least 488 people died due to the rains and floods which hit 14 districts. The book, co-authored by Rotterdam architect N M Ramesh, was released here on Friday at an event attended by the members of the Dutch and Indian community, including Dutch water experts. The event, followed by a seminar on Indo-Dutch Cooperation in Water Management, was co-organised by the Foundation for Critical Choices for India and the Netherlands India Chamber of Commerce and Trade. The seminar on Indo-Dutch Cooperation in the field of Water Management was addressed by Jan Busstra, Head of the International Water and Marine Division, Ministry of Infrastructure, Netherlands, Prof Eddy Moors, Rector, UNESCO-IHE Delft Institute for Water Education and Paul Van Meel, Integrated Water Resources Management Expert who was part of the UN and Dutch missions to Kerala after the floods.